The PADI Career Development Center (CDC) classification is awarded annually to PADI Five Star Instructor Development Centers and Five Star Instructor Development Dive Resorts that dedicate their businesses to professional development beyond regular scuba instructor training and meet the highest requirements for training PADI scuba diving leaders. PADI CDCs offer career-oriented training to prepare scuba diving professionals for employment in the dive industry, as well as offering job placement assistance for program graduates. Abyss Scuba Diving is the only PADI CDC in New South Wales and is one of only 4 in Australia. 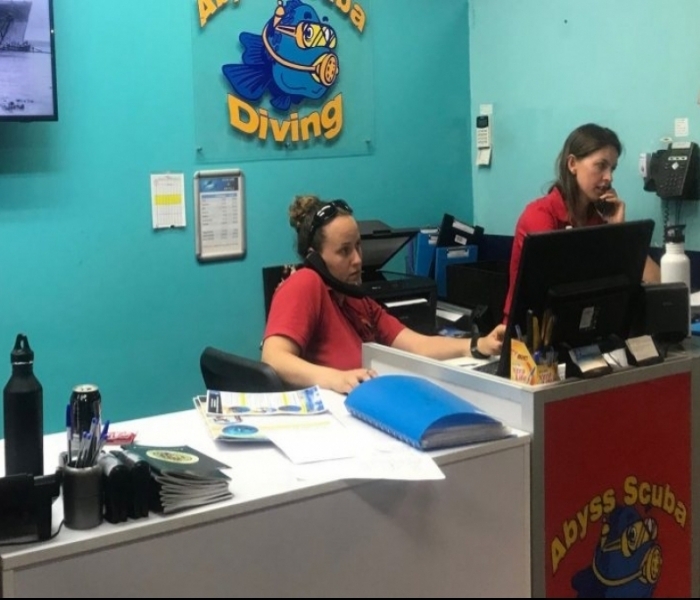 With its 2 Course Directors (including one Platinum Course Director), 2 Master Instructors and 5 PADI IDC staff instructors Abyss Scuba Diving is the ideal place to begin a career in scuba diving. The PADI 5 Star Career Development Center (CDC) award is given to PADI 5 Star Instructor Development Centers (IDC) that dedicate their businesses to professional development beyond regular instructor training. 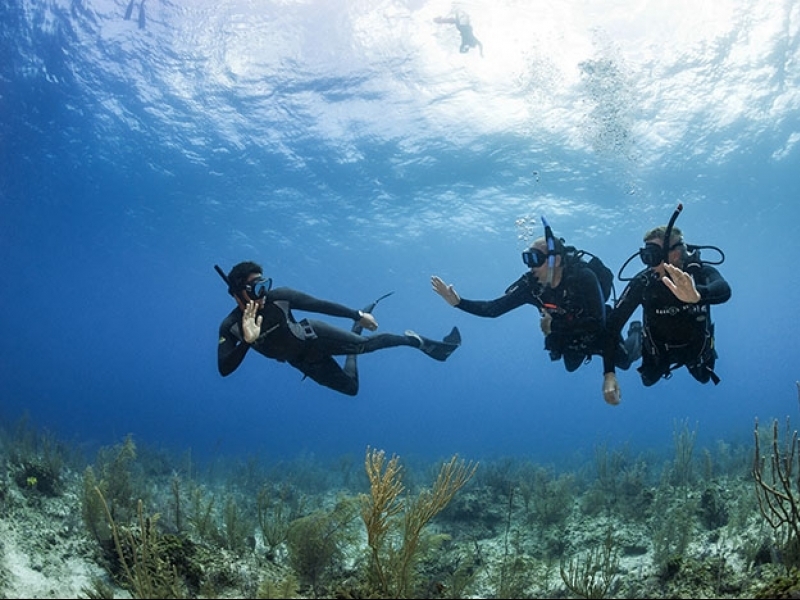 These businesses offer vocational oriented continuing education training to prepare individuals for dive industry careers and provide job placement services within the dive industry. PADI Members and the dive industry at large benefit from the PADI 5 Star Career Development Centers’ commitment to professional development and excellence, and their unique ability to provide qualified candidates to fill industry employment needs. A PADI 5 Star Career Development Center (CDC) is a PADI 5 Star Instructor Development Center (5 Star IDC) that meets all PADI 5 Star IDC requirements and also offers additional professional development training. These dive centres are well-established businesses with proven success in training PADI Instructors. Because of the services offered, PADI 5 Star CDCs are places where candidates receive training to prepare them for careers in the dive industry. PADI divers, members, and the dive industry at large all benefit from the PADI 5 Star CDC’s commitment to professional development and excellence. 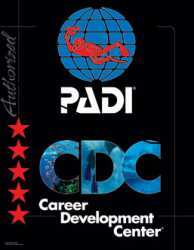 A PADI 5 Star Career Development Center (CDC) may also offer graduates of their six-week career development program special credentials and recognition materials. Candidates enrolled in five pre-and/or post-IDC courses (Pre-study, MFAI, Specialties etc.) OR candidates of a six-week career development program who successfully complete a PADI IDC, conducted by the CDC, may attend a PADI IE if they have been certified divers for at least six months, have logged 60 dives and are certified PADI Assistant Instructors (the AI course is part of the new IDC). CDC candidates who successfully complete an IE and subsequently meet the 100-logged-dive certification requirement will be certified as PADI Instructors when their paperwork has been processed by PADI.